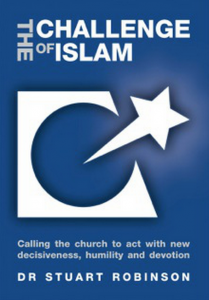 Dr Stuart Robinson in his book The Challenge of Islam writes a compelling call “…to the church to act with new decisiveness, humility and devotion”. This is not a call to war, to viciousness or turmoil; but rather a call to effective witness, evangelism and love. Every Christian should at least read this booklet; every pastor should know this booklet well. Secular political leaders and media minders have marginalised religion unless it serves their professional interests. Historical memory hardly extends beyond yesterday’s sound-bites or delves deeper than the flutter of social media comment. ‘Islam Rising’ summarises elements of how enduring turmoil in the Middle East has arisen and some implications for the rest of the world. In this riveting book, Stuart Robinson calls Christians to get ready to bring in a harvest, the likes of which has never been seen in human history. Elizabeth Kendal, Religious Liberty analyst and author. These New Testaments have been difficult to get. 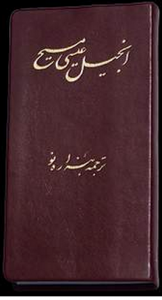 We now have a supplier and recently received a supply of 400 Farsi New Testaments. These are well produced and strongly bound. We recommend giving New Testaments to Persian and Arabic friends to introduce them to Jesus. A discount is available for purchases over 7 copies. 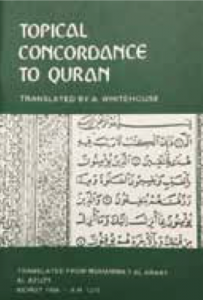 The ‘Topical Concordance to Qu’ran’ is a very helpful and useful guide to exploring the Qu’ran. An English index enables subjects to be explored in the Qu’ran. This Concordance gives some insight into conservative Muslim understanding of the teaching of the Qu’ran. Every person who has dealings with people of the Muslim faith should utilise this helpful booklet. Muslims often know and reverence their holy book more than we Christians reverence the Holy Bible, the Word of God. Other Resources – we stock a variety of books, Bibles (Arabic and Arabic-English) and DVD’s that are useful for being informed about English) Islam and the Middle East region. Enquire at the National Office for further information.